A week back I was headed to Talegaon, an offbeat and unexplored small town between Mumbai and Pune. My motive was simple, explore that is unexplored, untouched and has beautiful gems to offer. Talegaon is a historic town in the Mawal taluka of Pune district in the state of Maharashtra, India. It is just 40 km from Pune while 124 km from Mumbai and 90 km from Panvel. Well known as the Industrial town it was not much populated till a few years back. 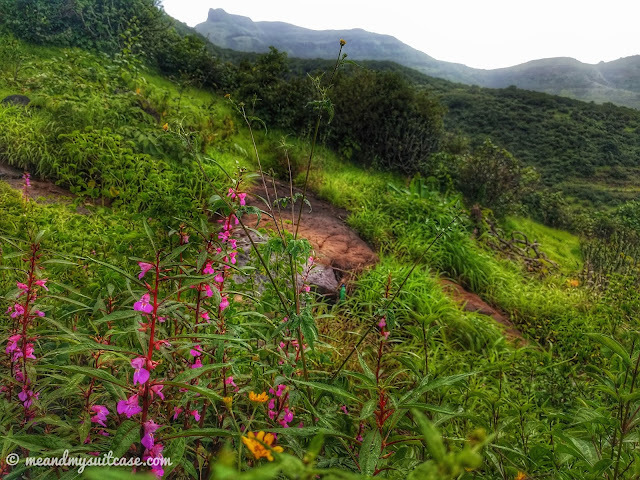 To add, it is at an altitude of 2200 feet above sea level, higher than the much famous Lonavala. Around 45 minutes from this famous counterpart, Talegaon is an off beat destination which has many gems to offer. 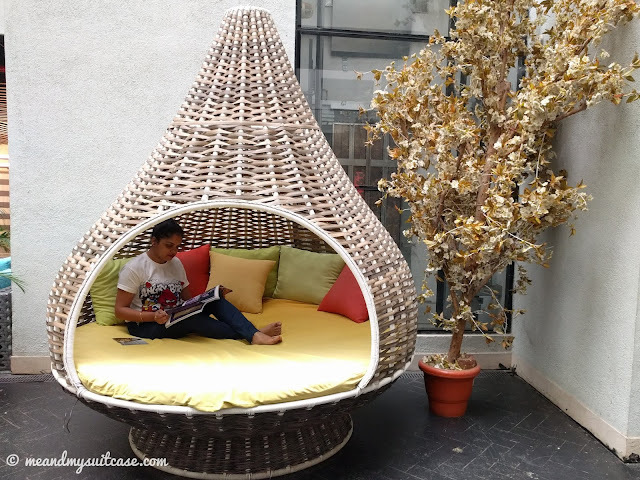 After checking in to Hotel Orritel, my abode for the weekend and gorging on scrumptious breakfast spread at its restaurant Ammbiir, I left to explore Talegaon and its hidden gems. 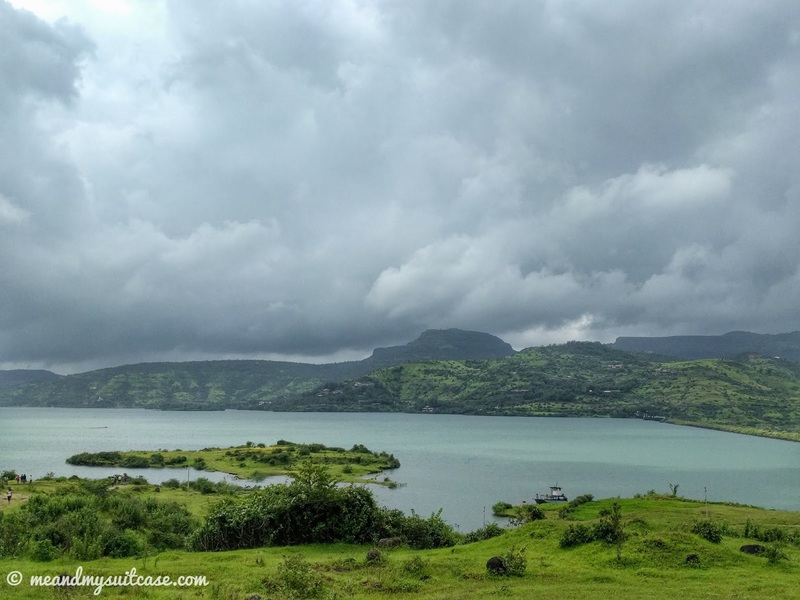 Here is, 24 hours in Talegaon for you, away from the hustle bustle of city life. Bedse caves is a group of Buddhist rock cut mountains situated in Mawal region of Pune District in the Indian state of Maharashtra. Around 20 km from Talegaon (Hotel Orritel), Bedse caves is a lesser known among the trilogy of the caves "Karla - Bhaje - Bedse" and not much explored. 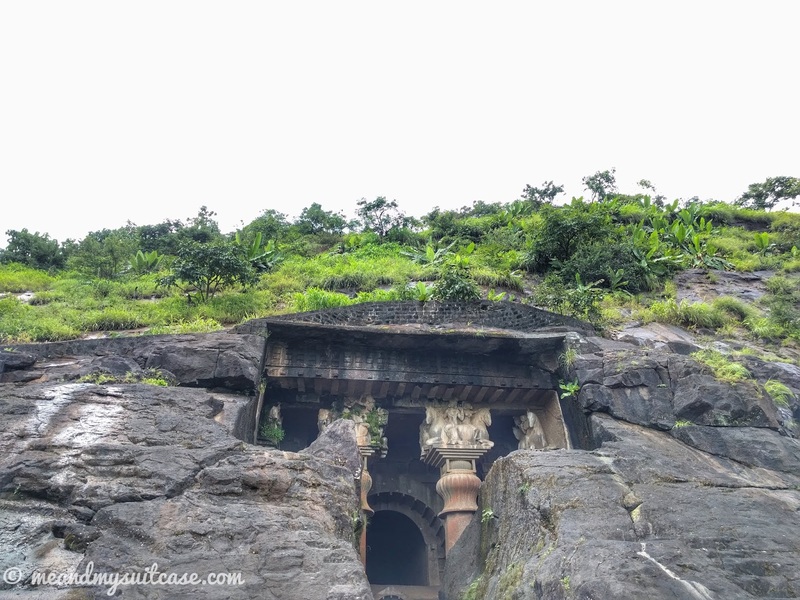 Bedse caves is an easy and beautiful hike of 400 steps through a lot of green with wild colorful flowers adorning it on the way with tall mountains encircling the area. If it is raining, engulfing clouds and small water streams make it a stupefying hike. Best visited during light rains or winters, explore it in the day light. The history of the caves is dated back to 1st BCE ("Before common era" used opposed to BC i.e. Before Christ). It has two main caves viz Chaitya, the prayer hall and Vihara. Chaitya has a huge stupa in the centre of the inner sanctum with many columns near the periphery of the sanctum. The window and outside walls' architecture along with columns at the entrance has intricate designs and carvings. Vihara is a large open cave with nine doors to cells with beautiful carvings. Do spend some time at Bedse caves, it's very calming; view from top is amazing as well. Pawna Lake is a less explored, artificial lake in the vicinity of Pune, 10 km further south from Bedse Caves. This lake was born after Pawna Dam construction and is famous among campers. It is mysteriously scenic and has green & yellow patches of grass, shrubs & yellow flowers. The bed of yellow flowers mesmerized me a lot. This picturesque lake has a small area of land extended in to the lake which appears like a golf playing site (though it ain't, see below). You can visit this place during daylight and be amazed by its beauty or during night for star gazing or just club it and go camping over night. Spend some leisure time here. 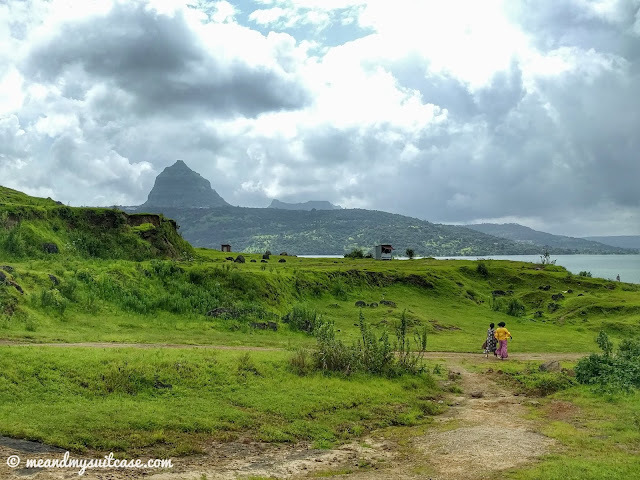 Japalouppe is towards east of Talegaon, so you can either have lunch at Ammbiir (Hotel Orritel) or another place of your choice and then head to Japalouppe. Japalouppe is not too publicized but has grown in to one of the leading equestrian centre. 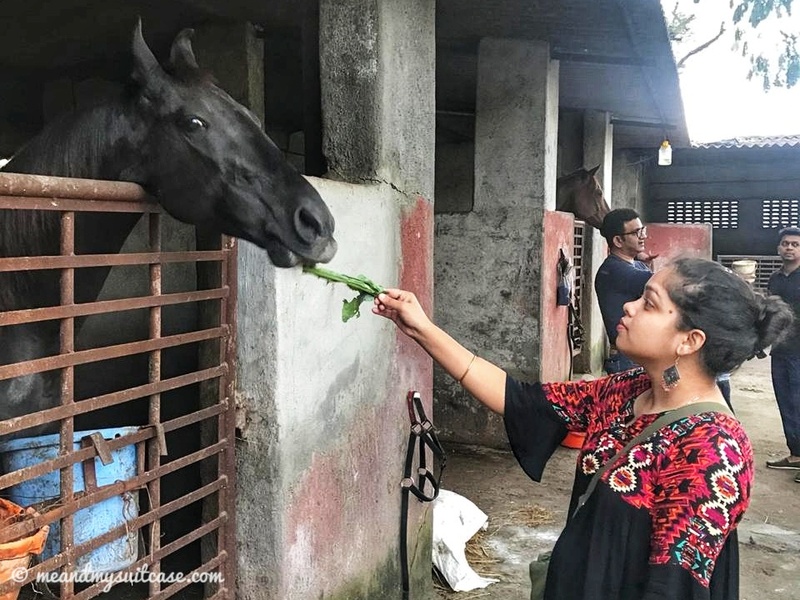 Started by mother son duo, Lorraine and Rohan More in 1998, this 12 acre facility is the only equestrian facility in India which not only gives training in horse riding but have their hands full with breeding of horses, training, camping along with having and taking care of variety of animals, birds and even turtles. In addition to big sized horses, the other typical habitants of this place are many breeds of dogs like Labrador, Rotweiller, Bully kutta (remember scooby from scooby doo?) and birds like emu, turkey, parrot etc. Then there are pigs, rabbits, goats and turtles as well. This place is an animal lovers' paradise. Here, kids come for camps, to learn horse riding among many other things. Go for a round with Mr. Joshi who guided us through Japalouppe that day; his passion & love for the place and animals will sure grow on you. The way he remembers & addresses every single animal by their names is amazing. The innocence I saw in the eyes of all the animals and the time I spent at Japalouppe is incomparable. Spend a good 2 hours here and you won't leave disappointed. These three places I covered in one day. If you have more time you can visit other places too as I have mapped out for you at the top. Reach Talegaon, check in to the hotel "Orritel Convention Spa and Wedding Resort", have breakfast at Ammbiir and leave to explore this hilly terrain. Go explore the caves trilogy i.e. Bedse - Karla - Bhaje caves. All are ancient Buddhist caves. 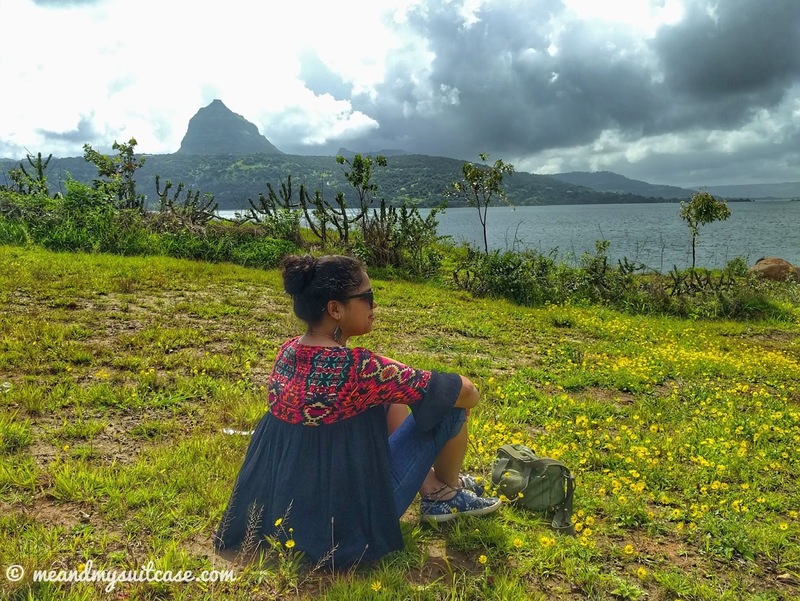 Go for lunch locally and then visit Pawna Lake before sunset. Spend some leisure time here. Head Back to the hotel and indulge in a grand dinner spread. Start with breakfast and if you like to trek, go visit Lohagad Fort. Leave for some temple hunting, visit Prati Shirdi, Ghoradeshwar, Kalash Temple, Ganesh Temple. Have lunch. In the evening, spend some leisure time among many innocent beings at Japalouppe Equestrian Centre. Come back to hotel and indulge in spa followed by dinner and a good night's sleep. This hotel is a 3 star property in Talegaon and right on highway, thus, easily accessible. To enjoy an offbeat place like Talegaon, this hotel proves to be a great abode. Courteous staff, beautiful & quirky interiors, gym, indoor games and spa facility make Orritel a happy place to spend your time at. To add, the food at Ammbiir is amazing. I just loved all my meals and every single dish I had there. There is definitely some magic in the hands of Chef. The staff and management are very warm people but special mention to Mr Lijju from the spa whom I found to be the most patient and wonderful human being I met in my two days stay at Orritel (I had indulged in the 15 min foot massage which helped me get over my weariness after my long, hectic day). The rooms are fill with basic amenities and are spacious. All rooms come with kitchenette which I feel is the USP of this hotel (Hotel allows you to cook your own food if you stay there for longer period and don't wish to spend a lot on hotel food). There are also two big halls (1000 people capacity) which cater for the need of weddings and other events you wish to have there whether corporate events or parties. My favorite part of the hotel was cocoon, spend some time here; read, lie, chat, do whatever you like its like being in your cocoon. I am sure you will love this place, a picture ride through the hotel will be updated soon. Stay tuned to fall for the vibes which the hotel interiors create. This weekend hit Talegaon instead of ever crowded Lonavala. Only a few km ahead of Lonavala, Talegaon is on little higher altitude, thus, beautiful weather all the time. Mumbai Pune expressway is a great ride so go for the road trip with good music playing the background. If you are looking for destination wedding away from city but not for a very costly affair, Hotel Orritel is for you. If you have any questions w.r.t. my stay, the place or itinerary, leave me a mail. I have some major-discount vouchers (stay and spa) to giveaway for your next weekend getaway. Information on the same will be up on my Instagram page soon. Follow me at www.instagram.com/junkkdna and stay tuned. This was a sponsored trip but review and views are mine and in no way influenced by any third party. This place looks so scenic and perfect for a short road trip. I am sure guest would love to be here for a wedding. Wow! The place looks otherworldly :) The way bright yellow flowers and the lovely lake create a wonderful and serene aura. I'm sure it must have been a rejuvenating trip for you. Talegaon looks like a perfect weekend destination. I am really interested and impressed with the Japalouppe Equestrian Centre, being the horse lover I am. Hope to visit this place soon. We all definitely need a time-out every now and then and this trip does look like one to go for! This is a great find. Next time I am in Maharashtra I will surely visit it. Looking forward to the give away. Wow, the place looks so beautiful. Love the different shades of green. Never heard about this place but surely gonna visit when I'll be in Mumbai. Thank you for sharing and keep traveling.